Eunice Onyango is her beautiful name. She is only 21 years old and she already has one of the biggest titles in the world under her belt. Many young damsels are looking up to her right now. She is already a role model at such a tender age. At the moment, she is a sales and marketing student who plans to be a peace ambassador. 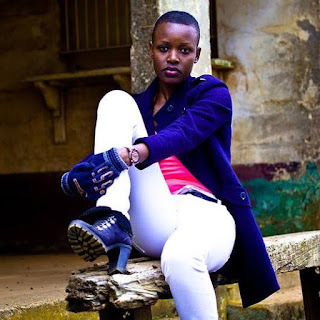 She has the dreams of spearheading the fight against terrorism and violence in Kenya as well as help out the victims. Terrorism is a menace not only in Kenya but also in the other developed countries and I hope she is ready to take the bull by the horns. 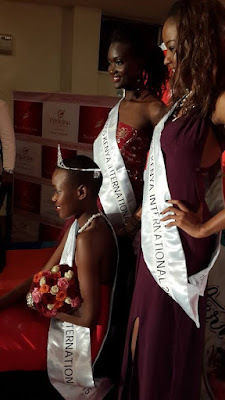 The Miss Kenya international 2015 went down last weekend at Pridelnn Hotel, westlands, Nairobi Kenya. The glamorous event was graced by a good number of Kenyan celebrities and party animals. Tanya (Sarah Hassan) was also in the house. The competition was tighter than tight. Tighter than Will.I.A.M’s pants. Voting was through the social media where by fans were allowed to like photos of their favourite candidates. Things went well for her since she was the fan’s choice. She deserves it, I mean, this chille is on fire. She is everyman’s dream. She is the ideal chick for most men. Congrats Eunice Onyango, We wish you the best in your future endeavours.